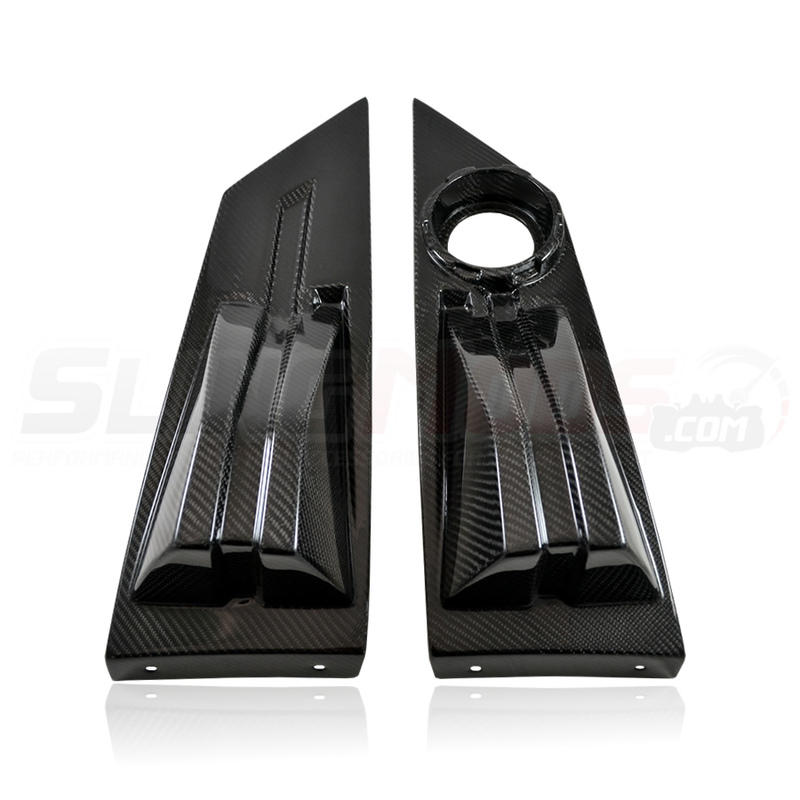 Carbon Fiber Replacement Rear Deck Humps for the Polaris Slingshot Back in Stock!! 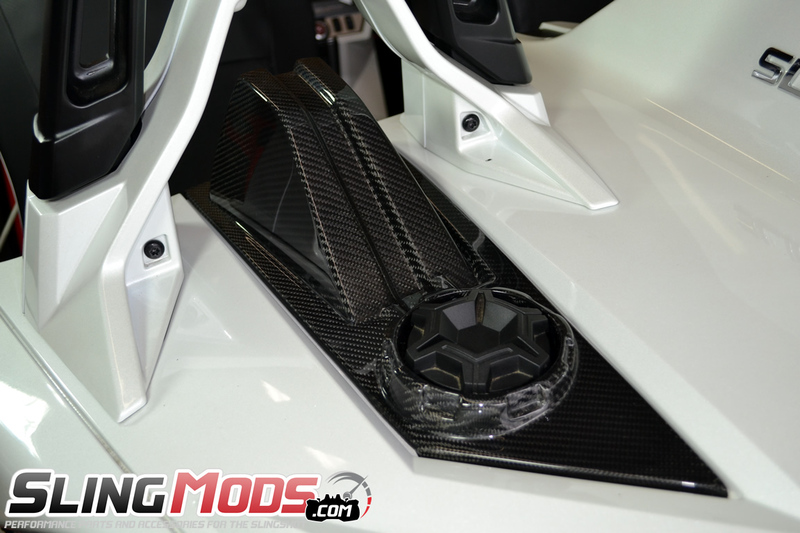 The Carbon Fiber Rear Deck Humps for the Polaris Slingshot are here. 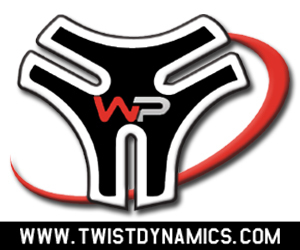 These pieces look absolutely stunning in person and really dress up the rear end of the Slingshot. 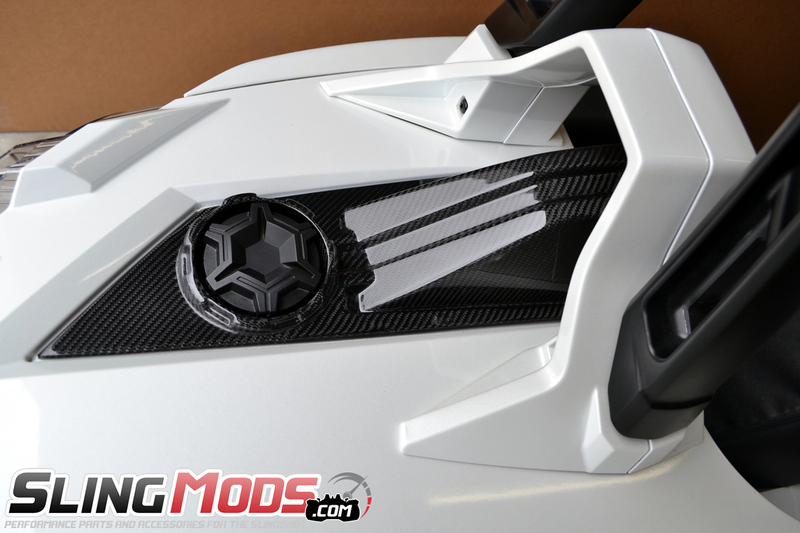 They're 100% real carbon fiber and coated with a clear resin to give that race inspired look the Slingshot yearns for. Installation is a snap and should take under 30 minutes to install. Thank Larry. I already have them on my Sling. You know I am a Carbon Fiber HO. 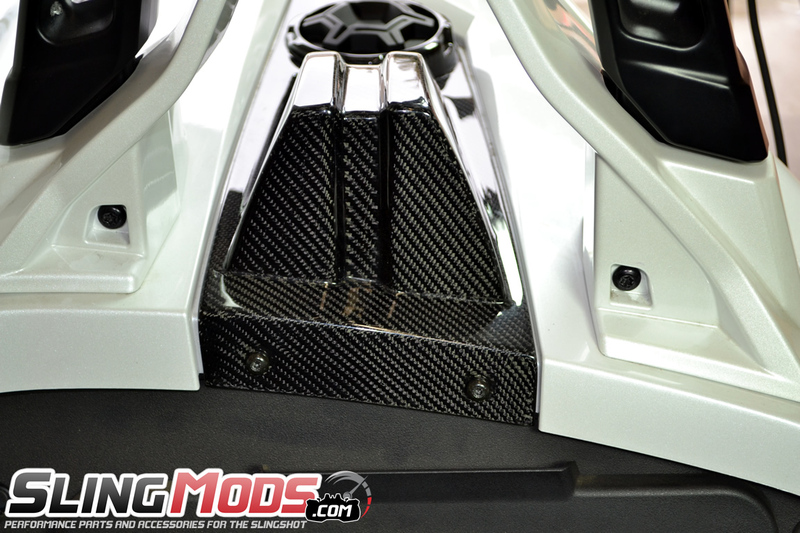 Why can't they make speaker pods in carbon fibre material?